Photo editing is my first love and the part of digital scrapbooking that I enjoy the most. Although it’s a subject worthy of a large, heavy book, I’d like to show you how I changed these photos with a few of the photo editing techniques I use routinely. Cropping. Most photos need some cropping to help us focus on the main subject. You might have heard of the Rule of Thirds. If you divide a photo into thirds horizontally and vertically, it is more pleasing to the eye to have the main focus placed on one of the virtual lines or on their intersections. We can’t always achieve that perfectly, but it’s a good rule to remember when cropping. 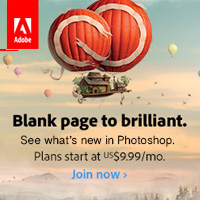 Photoshop Elements 11 makes it easy since the Rule of Thirds is one of the Crop tool options in the Tool Options bar. 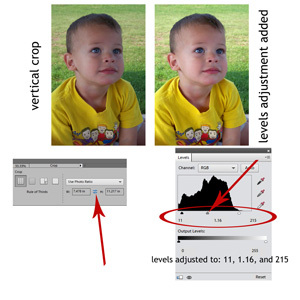 Here’s how I cropped my grandson’s horizontal photo: I kept the photo ratio but chose to click on the width and height arrows to reverse them and to make a vertical crop. In the cropped picture, his eyes are almost exactly two-thirds up the photo for a pleasing look. Levels Adjustment. Here’s how to add one: click on the Adjustment Layer icon (the little black and white circle) then click on Levels, or go to Layer > New Adjustment Layer > Levels. A graph will open up with 0 on the left, 1.00 in the middle, and 255 on the right. You can slide the tiny triangles just above the numbers to make subtle adjustments in tone and depth. I especially like to use it for landscape photos with some haze in them. I used a levels adjustment on the two photos in my layout to give them a little extra vitality. Photo Filter. 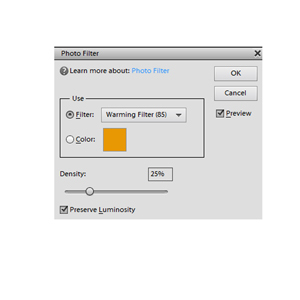 I like several filters for photo editing, but the one I probably use the most is the Photo Filter. It is found under Filter > Adjustments > Photo Filter. The Photo Filter adds a slight color tint and is a great way to harmonize your photo’s color cast with the papers and embellishments in your digital scrapbook page. I used Warming Filter (85) on both photos in my layout to give them a slightly sunnier look. I almost always use the Density Default setting of 25%, though you can adjust that for stronger or more subtle effects. Scrap Girls to the Rescue. Often, my chief photo editing technique is using the treasure trove of actions and overlays offered by the Scrap Girls Boutique. 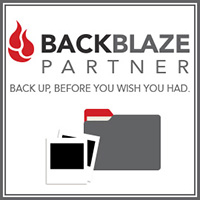 They are designed to enhance our photos in many creative ways. 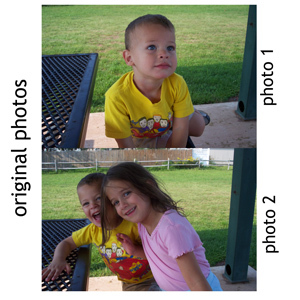 Actions contain an automatic group of adjustments that completely change a photo with one click of the mouse. Overlays provide texture and lighting and are blended into the photo to your taste. For the second photo, I used ScrapSimple Paper Templates: Lighting Effects 2 Biggie with an Overlay Blending mode. 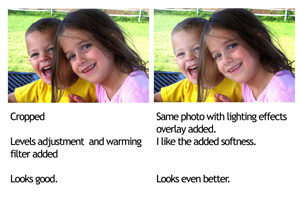 I liked the way its light fell on my grandchildren’s faces. 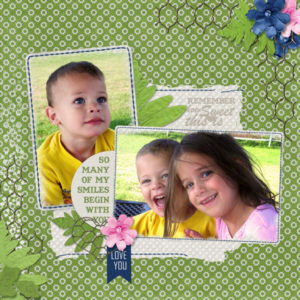 Photos are the heart of your digital scrapbooking page. By spending a very few minutes with these photo editing techniques, you can take them from good to great. I hope you’ll give some of these tips a try. 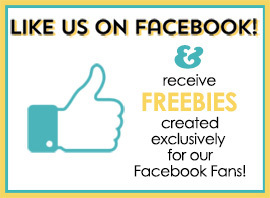 When you do, upload your layouts to the Scrap Girls Gallery and let us admire your picture editing skills.